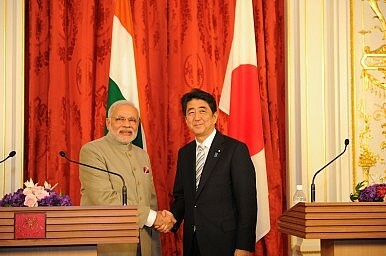 Ankit Panda and Jeff Smith discuss India-Japan relations and the geopolitics of Asian security. The United States, Japan, and India have a trilateral, and Jokowi is possibly changing ASEAN--our editors discuss. Who's Afraid of a Free and Open Indo-Pacific?Tracking Trump's First Trip to Asia, Part 2: China, Vietnam, APEC, Philippines, ASEAN, EAS, and the 'Quad'Surveying India's Evolving Approach to Maritime SecurityMission Shakti and Beyond: Breaking Down India’s Anti-Satellite TestWhat Did Narendra Modi's First Meeting With Donald Trump Reveal About US-India Ties?